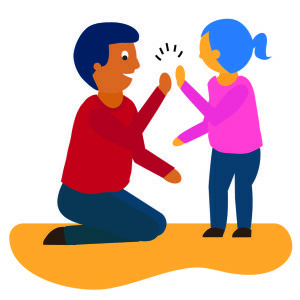 Common sense tells us that students are more likely to attend school when they feel connected to caring adults who notice whether they show up. These caring adults can help students feel hope for a better future and help families secure support for addressing barriers to getting to school. Quality mentoring, especially as part of a school-wide effort, can be leveraged as a strategy to improve attendance and boost academic achievement, research shows. Chronic absenteeism in kindergarten, and even pre-K, can predict lower test scores, repeated patterns of poor attendance and retention in later grades, especially if the absences persist for more than a year. Chronic absence is especially challenging for students from low-income communities whose families face greater hurdles to getting to school and have fewer resources to make up for lost learning time. Relationships Matter: A Toolkit for Launching an Elementary Success Mentor Initiative, builds upon ideas from a number of national partners and from districts participating in the groundbreaking My Brother’s Keeper Success Mentors initiative, announced in 2016 by the White House and the US Department of Education. The success mentor approach recognizes the power of using chronic absence (missing 10 percent or more of school for any reason) to trigger a cost-effective, early intervention that gets students to school so they don’t miss out on important learning opportunities. This toolkit is designed to help school districts, particularly the administrators charged with establishing an elementary success mentor program, leverage ideas and resources available from national partner organizations as well as the pioneering work of a growing number of local efforts. This toolkit is filled with tips, scripts, and a variety of relevant and free materials that you can take and tailor to the needs of your community. What is the elementary success mentor strategy? What does an elementary success mentor do? How do we recruit, screen, train, match, and support success mentors? What support is needed from schools? What support is needed from the district? In a trailblazing initiative in New York City, students with a history of chronic absence who received success mentors attended nearly two more weeks of school each year. These same students had better academic outcomes when compared to peers who did not receive support from a caring adult. See this evaluation by Johns Hopkins University for more information. We want and welcome your input. To offer feedback or suggest additional resources, please Sue Fothergill. The toolkit builds upon a wealth of materials developed by many partners (particularly MENTOR: The National Mentoring Project, Everyone Graduates Center, the New York Department of Education, the Center for Supportive Schools, and other local programs) and was produced with the generous support of the Annie E. Casey Foundation, the Campaign for Grade-Level Reading, The California Endowment, the Kenneth Rainin Foundation, and the W.K. Kellogg Foundation. How Do We Recruit, Screen, Train, Match and Support Success Mentors?